In his book Outliers, author Malcolm Gladwell said that it takes roughly 10,000 hours of practice to achieve mastery in a field. 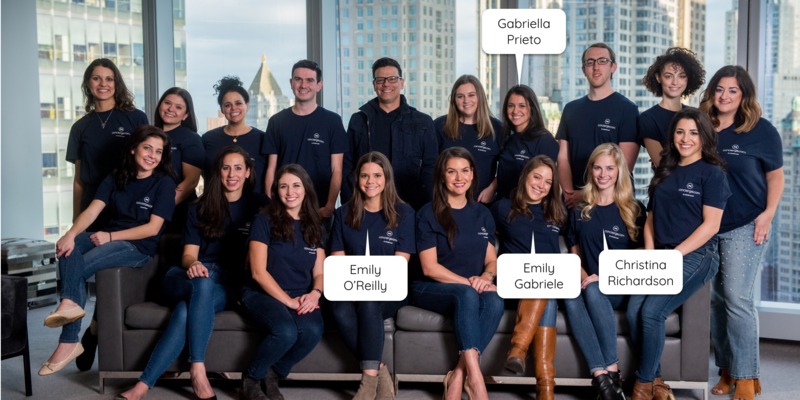 With hundreds of events between them and more like 100,000 hours of practice, Concierge.com event concierge services team members, Emily Gabriele, Gabby Prieto, Emily O'Reilly, Molly Burke, and Christina Richardson, understand the event world inside and out. I sat down with Concierge.com's ECS team to learn more about their backgrounds, pick their brains about the industry and guest management tactics, and hear about the coolest events they've ever worked on. Why is the guest experience so important to an event’s success or failure? Gabriele: The guest experience is what makes or breaks an event. You know the saying “if a tree falls in the woods and no one is around to hear it, does it make a sound?” Same concept. If your event doesn’t have guests, is it really an event? In the same vein, you can have the most well-thought-out, fantastic event and if your guests don’t enjoy the experience, is it really fantastic? How can event marketers improve the guest experience at their next event? What predictions do you have for the event marketing industry? Any trends you think are going to blow up in the back half of 2019? What’s your most memorable/favorite event you’ve ever worked on? Why?